This entry was posted on 2015/01/28 by Robin. 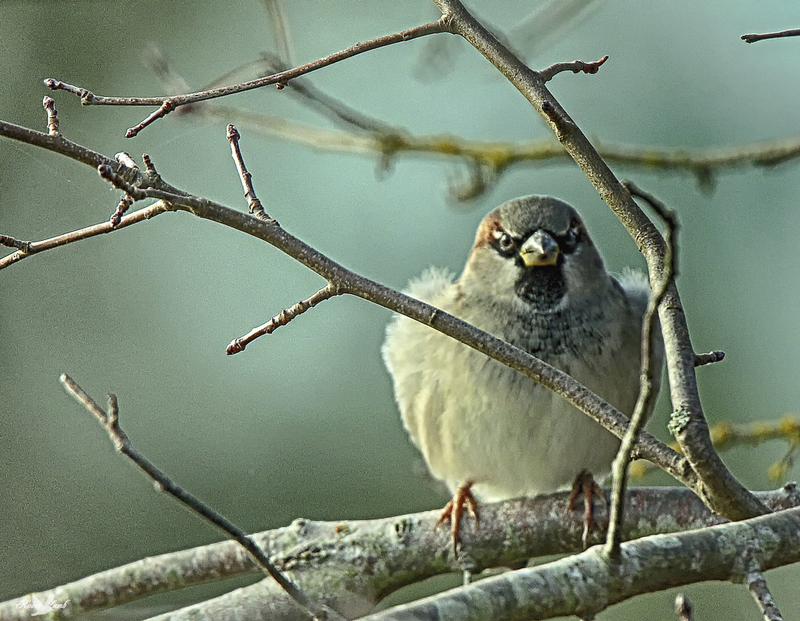 It was filed under Birds and was tagged with Aldergrove, B.C., Bib, House Sparrow, Mask. Pat, thanks! I think he’s a bit cheeky!